Farewell of venice – more than 470 000 Visitors! One last picture of the final public day of the Biennale. In meantime the exploitation already has begun. 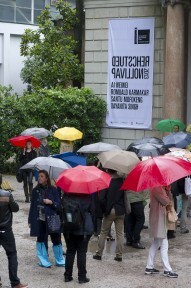 … we would like to thank all visitors of the German contribution to the 55th Biennale di Venezia! 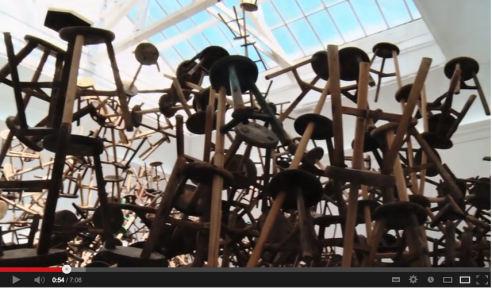 This Deutsche Welle movie is an exclusive documentation of the making of the German contribution in the French Pavilion at the 55th International Art Exhibition – La Biennale di Venezia 2013. 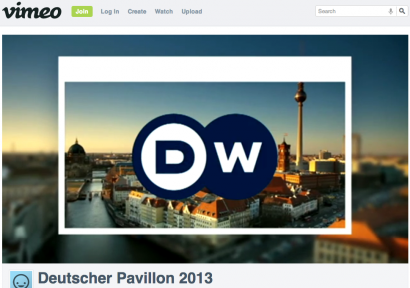 Kultur.21, the culture magazine of Deutsche Welle introduces to the four artists of the German contribution at the 55th Biennale di Venezia 2013 and shows the works they exhibit. If you haven’t had a chance to see the German contribution to the Biennale di Venezia 2013 in Venice, then here is an opportunity to take a look. And for those who have already seen the German contribution—housed in the French pavilion—these images allow you immerse yourself in the exhibition once again. In her performance on May 30, 2013 in front of the French pavilion at the 55th Biennale di Venezia, Dayanita Singh signed and stamped copies of her book File Room (Steidl, 2013). 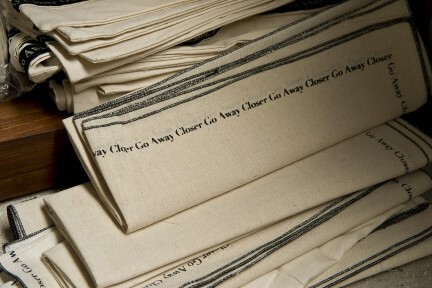 Through this act of personalizing her books, Singh made the gesture of a gift; purchasers of her book not only received an individualized catalogue from the artist but also a bag and a scarf.